Matt Jones, the principal of the Atlanta Adventist Academy in Duluth, Georgia, knew that this unique Christian college preparatory school needed a better way to get the word out. Atlanta Adventist Academy’s current branding was not doing justice to what the school had to offer, including state-of-the-art technology, a thriving virtual school program, and a very high college graduation rate. 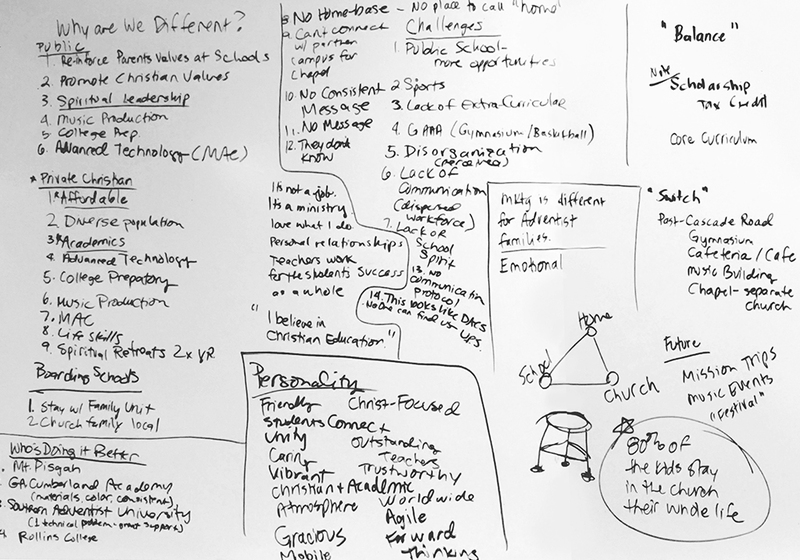 He turned to id8—experts in private Christian school branding—for a brand strategy. The Academy had never gone through a school branding exercise and did not have a marketing strategy, so the process was completely new to everyone. The id8 team began with our experiential design process to gather unique insights that aren’t available on any report. Unlike the approaches used by other advertising agencies or brand agencies, the experiential design process assesses every aspect—from the wall color in the classrooms, to how it feels walking into the administration office, to the signage guests see when visiting for the first time. These areas are particularly critical when it comes to academy branding. In addition, id8 met with a group of 13 stakeholders in the school and church to gain an understanding of their challenges, strengths, and goals to grow and evolve. 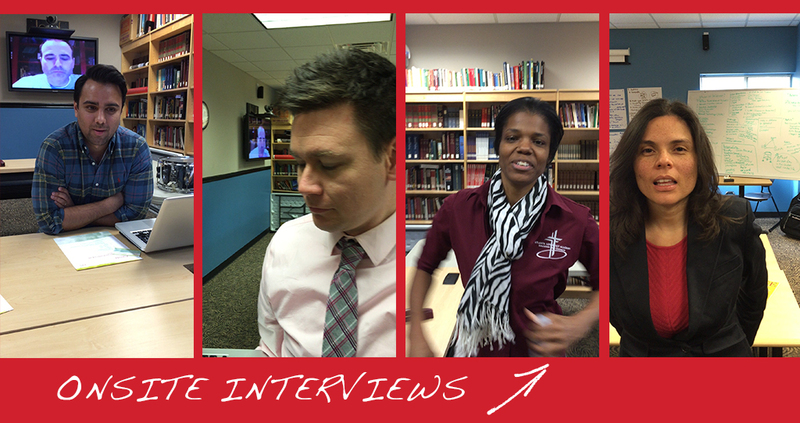 And they were all in—willing to do the work required to help orchestrate the change from the inside. This was great news, because any branding change requires internal support and enthusiasm. Branding is most successful when internal stakeholders are ambassadors for the brand, willing to promote it outwardly. The information gathered laid the foundation for a marketing plan and implementation strategy that would take six months to complete. The new brand needed to stand out from other private Christian school branding, so the traditional “seal” look was replaced with one that brought together the idea of walking in a life with Christ and the very high level of excellence in academics the school is known for. 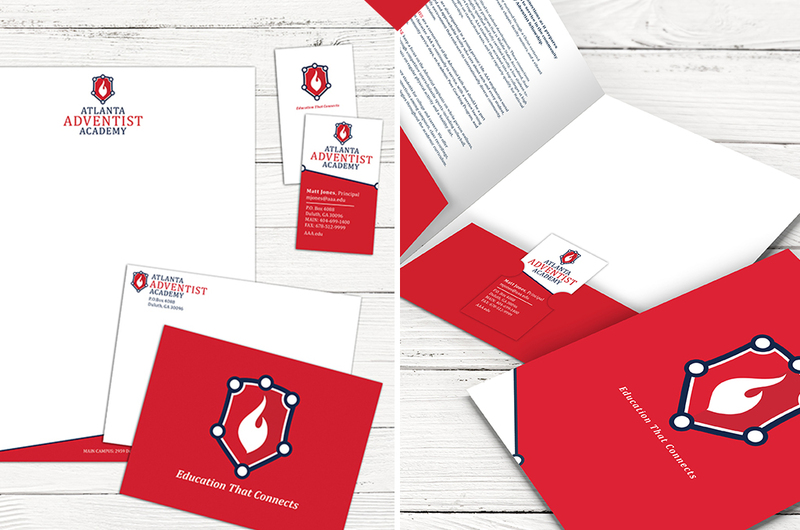 The new brand, using bright colors (red, blue, and white) and highlighted with a spark of fire, also contained circles within circles, representing the six areas of the student focused on by the school. To strengthen the brand and carry it throughout the school, the id8 team created uniforms, signage, and style guidelines for use in marketing materials. 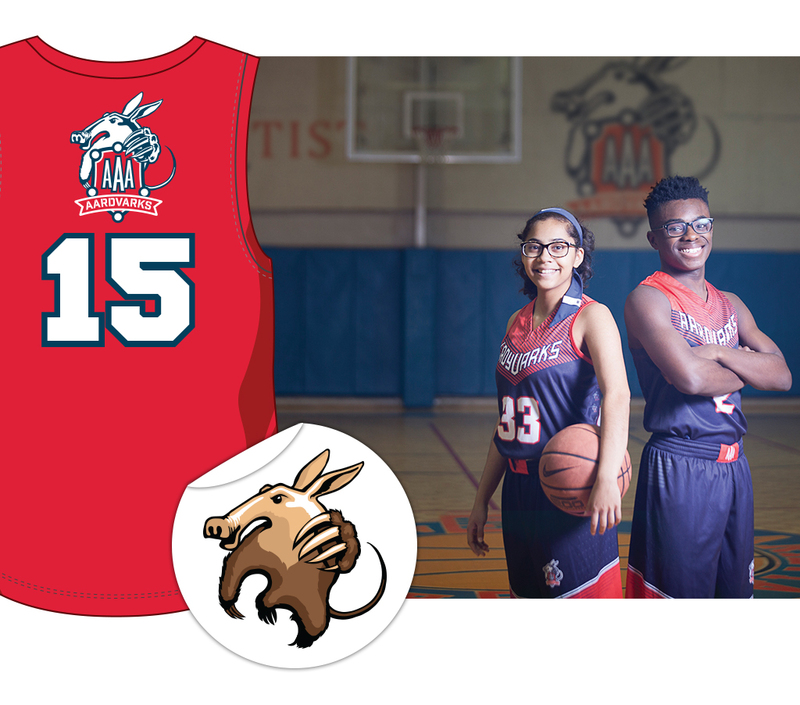 Sports uniforms are also integrated with the brand, from how the numbers are written on the back of the shirts to the colors and how the school mark is utilized with the mascot. We even helped build a sales funnel that would ensure staff was consistently communicating with the parents of prospective students. The id8 team went to the school personally to launch the brand to the students. We shared with them their brand-new Aardvark mascot, Aardy, and during the presentation handed out “Aardy” stickers to each and every student. They were thrilled about the future and excited to be a part of it. 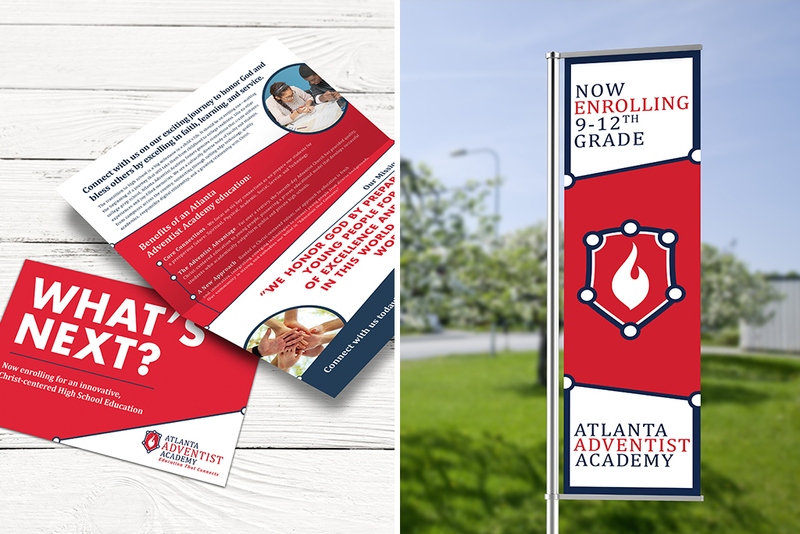 Atlanta Adventist Academy has an excellent reputation across the nation, and the new branding is further helping them gain clarity on how they communicate to students and parents, as well as how they can use this branding to increase enrollment nationwide. Branding is also important because the staff is unable to have the same personal relationships with their virtual students. It helps make a connection, capturing the school’s true essence. This new brand is one Atlanta Adventist Academy can use for decades to come, and it will support their mission of building up students for a lifetime of success.